Another year and I’m starting afresh with Living Arrows. I loved joining in last year and found it a great way to see how much the children had grown as the time went on and to document our week too. Children grow so quickly that it’s lovely to be able to record little aspects of childhood each and every week. This week has been a lazy one. We’ve been in that after Christmas limbo and have spent a lot of time in PJs, onesies and jogging bottoms! We have also only left the house when completely necessary and have loved every minute of it! Although I’ve been back at work since the Saturday after Xmas, Hubby has mostly been off so the children have had a lot of quality Daddy time – we have all loved him being at home. This week LP has been a snuggly little thing and on Sunday the week had taken it’s toll. She spent the afternoon wrapped in a blanket, laying on her Daddy’s lap, watching Hook and not doing a whole lot else. She was so cute, so small and so beautiful laying there with her hair messy from swimming. I have no idea how she’ll cope with going back to preschool, she’ll be worn out! Little Man has spent a lot of time playing with new Christmas toys this week and enjoying the last of the Christmas food treats – he’s had a lot more treats over Christmas than he would normally have and has definitely had his fair share of mince pies, chocolate and fruit juice! 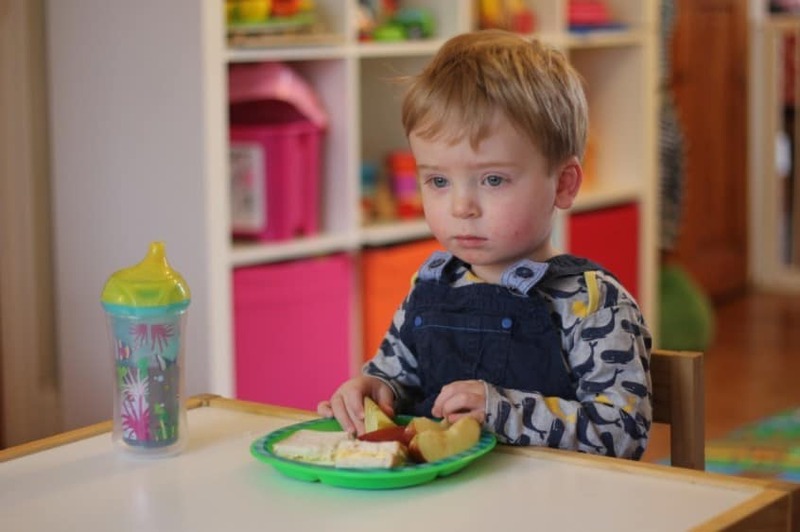 He’s also loved having lunch in the lounge, trusted to stay sitting and to eat without a bib. Little Man’s favourite thing at the moment is being a big boy and I have to say he is pretty good at it! Previous Post Couch to 5k – Starting again! 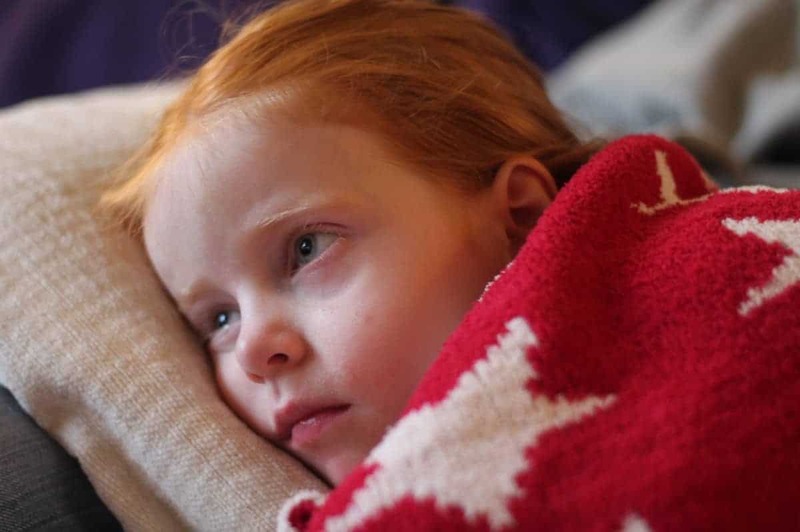 Gorgeous photos this week.. Im not sure how my Moo will cope going back to school either as this is pretty much what we have been like! I do love your Living Arrows posts – I keep meaning to join in myself! Awww she looks so sweet. My son went back to preschool this morning, I picked him up at lunch time and he looked so tired. It’s such a big adjustment to go back to. Oh, I love LM at his big boy table – I doubt I could leave Toby to sit at a table and eat without him causing chaos! And LP looks adorable all snuggled up with her blanket too! Oh those are such beautiful photos of both of them Donna – especially the one of LP. She’s definitely in the right spot, Daddy cuddles are the best! Awww, I hope LP went back to preschool ok for you and is feeling better. Looking forward to reading more of your blog through Living Arrows. Aww snuggly moments are the best! !